Ziplining under the stars? You bet! 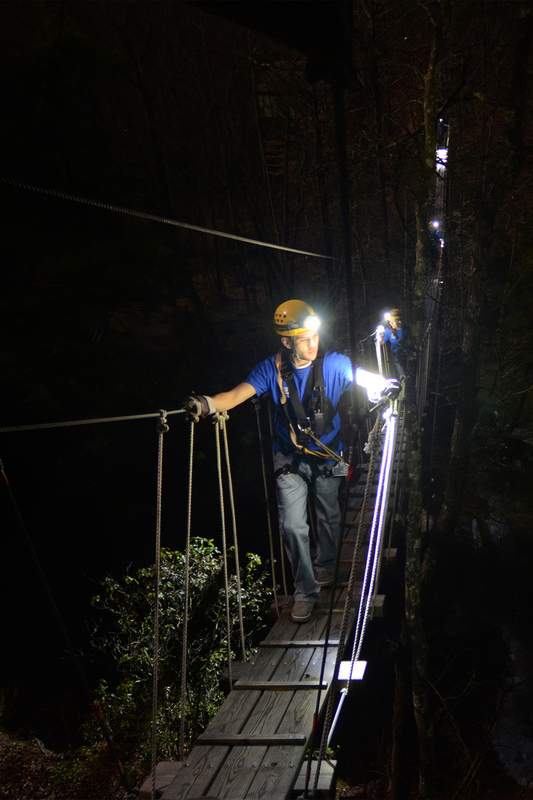 Our after-hours zipline tour is the ultimate adventure. As dusk settles in, helmet lights are turned on and your adventure begins! Your senses will be enhanced as day turns to night. Between zips, you will ascend floating spiral stairways to tree-house platforms supported by hearty centuries-old trees. The Waterfall Expedition will culminate with a long zip parallel to Carver’s Falls, illuminated by the moon. 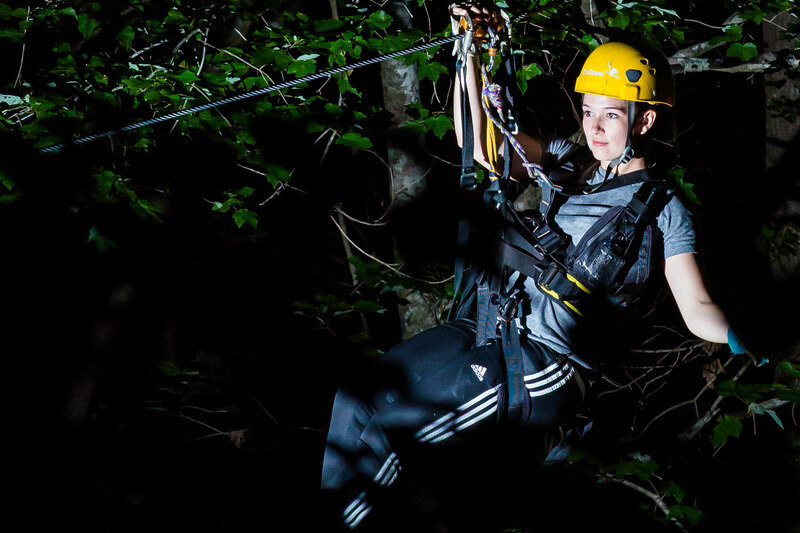 For a shorter zipline course, but all the big fun, our Treetop Excursion is the perfect NightQuest choice! 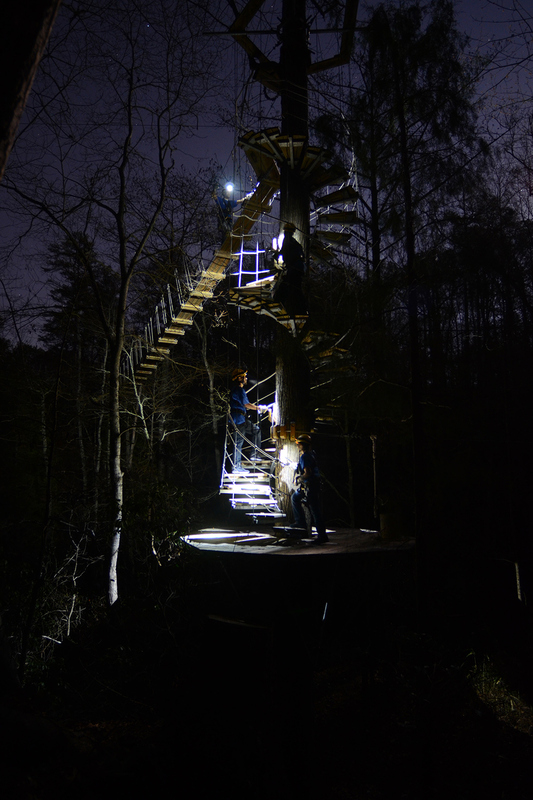 With 5 ziplines, 1 suspension bridge, and 2 spiral staircases, it’s a thrill under the stars you won’t soon forget! To book, choose a tour time at or after dusk under Treetop Excursion. For the ultimate adventure, take on our Waterfall Expedition! Your senses will be enhanced as day turns to night. Your quest involves 8 ziplines, 3 suspension bridges, 3 spiral staircases, and a spectacular view of Carver’s Falls. To book, choose a tour time at or after dusk under Waterfall Expedition. We know you might have questions about your exciting treetop adventure. Don't worry, we have all the answers! How can I book my NightQuest adventure? You won't see a separate booking option for NightQuest, but simply choose a tour time at or after dusk under Waterfall Expedition or Treetop Excursion.